Marussia has become the final Formula 1 team to announce its 2013 launch date, as it confirmed the covers will come off the MR02 on the morning of the opening test day. The unveiling will take place in the Jerez pitlane on the morning of Tuesday February 5. Caterham is set to launch its new car at the same time. Marussia has hailed its 2013 car as the start of a new era, as it will be the first car designed completely under its new technical structure, featuring Pat Symonds as a consultant and using windtunnel technology for the first time. But rookie Max Chilton is the only driver currently signed by Marussia, as it released Timo Glock last week in order to hire a funded driver. GP2 runner-up Luiz Razia has been strongly linked to the vacant seat. The MP4-28 is the 2nd car after the Lotus E21 that was released for the F1 2013 season. Before the main presentation of the car, they showed Mclaren road course and F1 cars over the past 50 years including cars from McLaren legends like Bruce McLaren, James Hunt, Ayrton Senna, Mika Häkkinen and Lewis Hamilton. In front of 250 guets their showed the new car with teamboss Martin Withmarsh and McLaren drivers Jenson Button and Sergio Perez. The car has no big differences from the last years MP4-27 in the aerodynamics and exhaust system. The engine has been revised, due the last years engine issues. For the first time since 1990 McLaren has to pay for their engines. 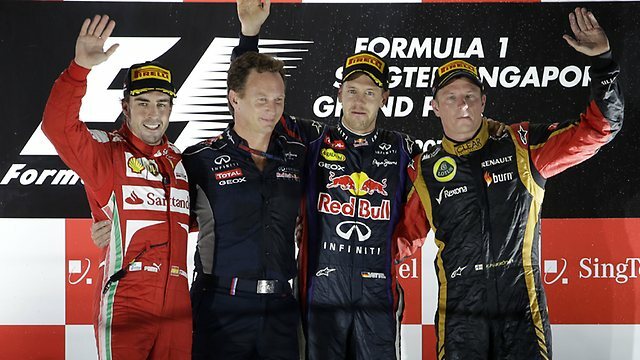 McLaren wants to win the constructeurs title after 14 years and of course the drivers title since 2008. Button is cleary the Number 1 in the team but Perez also plays a big role, especially for the constructeurs championship. The name is a combination of the current year and the number of cylinders in their V8 engines. The V8 units, which were introduced in 2006, will be replaced in 2014 by turbo-charged V6s. The Italian outfit, who finished second to Red Bull in 2012, will launch their car at their Maranello factory ahead of testing which starts next week. Ferrari is the only team to have competed in every year of the Formula 1 World Championship and the F138 will be the 59th car to be built by the Scuderia. The Italian team has won 31 championships – 15 drivers’ and 16 constructors’ – 219 race victories, 207 pole positions and 228 fastest laps. 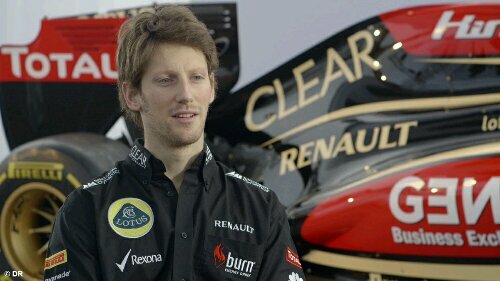 Lotus presented yesterday their new Lotus E21 for F1 in 2013. It’s the first F1 car from 2013 that has been officialy announced. The E21 has still black and gold on the livery, but there are also some red splashes on it (because of the sponsorship with burn). The front and rear wing has been revised, the car has also a new exhaust system (no double DRS) on the back of the car. The teams target for this year is, as teamboss Eric Boullier said before the presentation, the 3rd place in the constructeurs table. The car is looking good and the driver lineup also looking pretty competitive to do it (Grosjean has to switch his brain on at the start of a race to make this happen though). Last years Lotus E20 had seven podiums and one Grand Prix win with Kimi Räikkönnen at the Abu Dhabi GP.